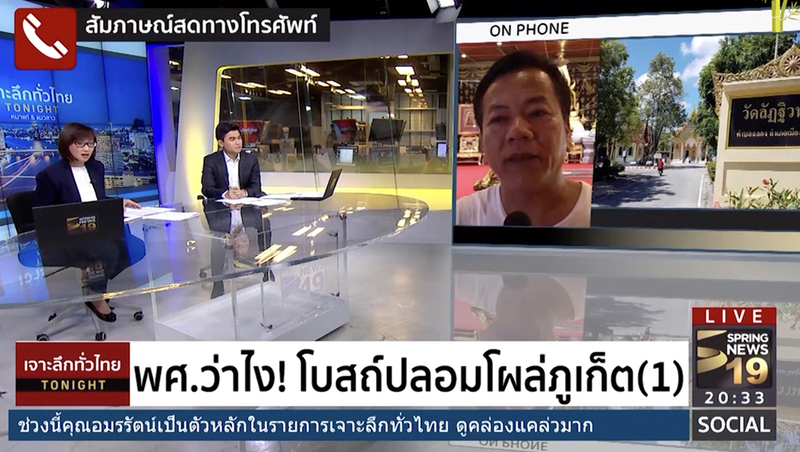 Spring News (สปริงนิวส์), a Thai television news channel, worked with WASP3D to add real-time 3D augmented reality graphics to its newscasts. 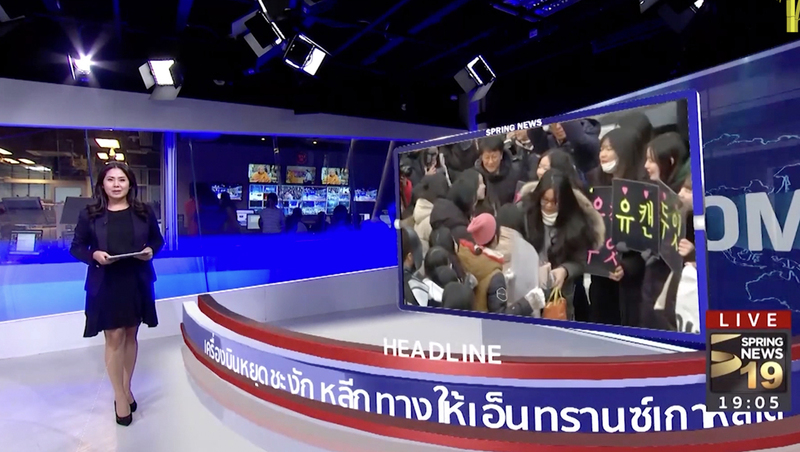 “WASP3D provided AR and virtual video wall solutions for our news show in Spring News, Thailand. It surely is one of the greatest real-time 3D graphics solutions. The powerful render engine and workflow flexibility, helped us boost our broadcast production value,” said Chakrit Khuangari of Spring News. The solution combined both WASP3D’s augmented reality platform along with video wall display solution to feed the “real” on-set video walls. The network also uses WASP3D’s on-air graphics system for its insert graphics. A jib mounted camera equipped with Mo-Sys’s Star Tracker allows the channel to insert virtual augmented reality elements ranging from floor ribbons with headlines and accompanying topical graphics to large faux “video walls” for phoners and tosses, allowing the studio transform to match the content.